« Myron Butler Talks W/ Gospelflava.com About The “Worship” Project!! The singer who sold over 170 million records worldwide, was found dead in her hotel room in Los Angeles, just a day before the 54th Annual Grammy Awards. The cause of death is still unknown, however when news of the singer’s death broke, millions around the world, including the Gospel community, took to social media to express the impact of her music on their career. 21:03: “This one hurts..real talk..Whitney we will always love you”. Dorinda Clark Cole : “We are so saddened by the news of the death of Whitney Houston and are praying for her family”. 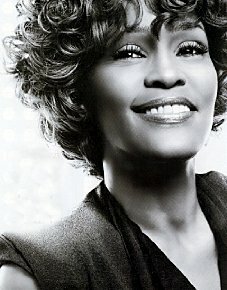 Karen Clark Sheard: “My sincere condolences and prayers go to Whitney Houston’s family, GOD bless and keep them. A true icon, legend, and phenomenal voice, Gone to soon. We join in prayer for the family and friends and countless fans who have been impacted by her music and her presence. This entry was posted on Monday, February 13th, 2012 at 9:45 am	and is filed under Artist News and Updates, Life Status (Births & Obituaries). You can follow any responses to this entry through the RSS 2.0 feed. You can leave a response, or trackback from your own site.